This morning I share with you a blog post I wrote this week for the Arlington Diocese Blog. It’s my first foray into the bigger wider world of blogging. I know it will be the first of many, or so the Holy Spirit and Miss Courtney tells me. Thanks to Helen and Deacon Marques for reaching out and asking me to jump off yet another cliff for Jesus.I know the Lord will take my feeble words and enrich them with His grace. I pray it inspires your day and helps those of you who are in the trenches of caregiving, burning that midnight oil out of love, some hope and some help on praying while facing such a tremendous but beautiful cross. Always remember you have Saint Courtney interceding for you. You can read more about our journey together here. You can also read more about her life here. You’re scared. All of the medical and practical details required to care for your child, spouse or parent suffering from a disability, mental disorder or disease are overwhelming. And, you’re committed to making their daily life the best it can be, no matter what their circumstances. There are tears of anger, fear, frustration, and disbelief that this is your life. 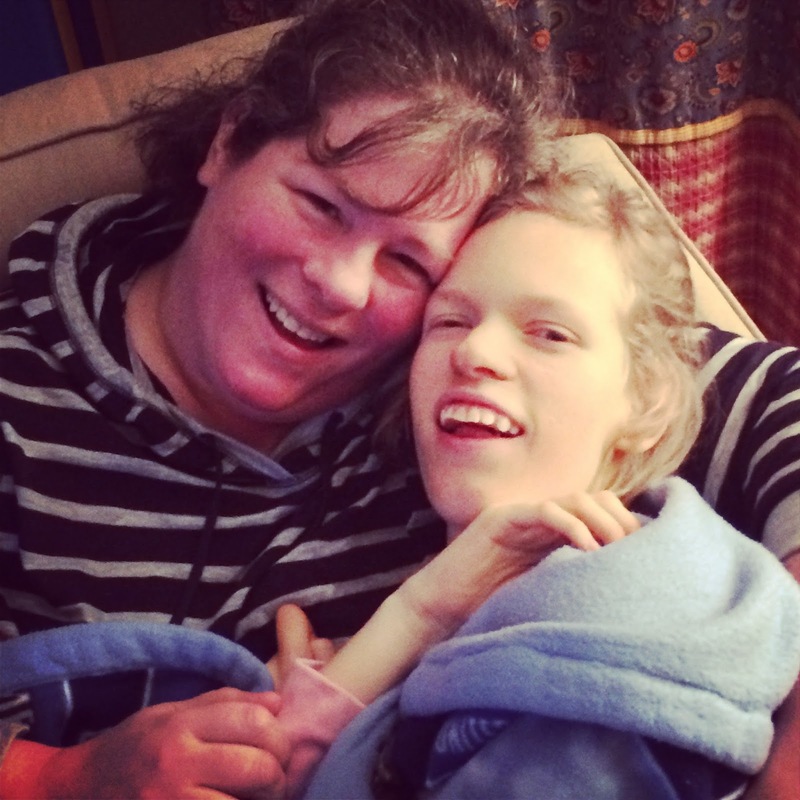 I had the privilege of being the primary caregiver for my disabled daughter, Courtney, for 22 years before God called her home. I say privilege because, in hindsight, being her caregiver was the hardest, yet, most beautiful thing I have ever had to do in my life. Yet, there was one thing harder and more beautiful than being a caretaker: Praying as a caretaker. I was so honored to be asked to write on behalf of caregivers. Please do leave a comment and feel free to email me if you have any questions or prayer requests. We need to lift each other up in prayer. After all we were not made to do this alone. Our new goal is $3,209.00 which will eliminate the balance on a credit card used for Courtney’s PT, OT and Feeding therapies and supplies used over the last five years. So far we have raised $695.00 of that amount and have put it toward the balance. If we can raise this amount, we can pay it off and be that much closer to our larger goal. One thing at a time. Thank you so much for your help. caregivers, Courtney's World, Joy in the Journey, We Can Do This!! Mary that was absolutely beautiful. God still has so many amazing works in store for you! I can't wait to see what He does next. Beautiful and timely. I must share this with my mother. Congratulations, Mary! I'm glad your words are reaching even more people!! !